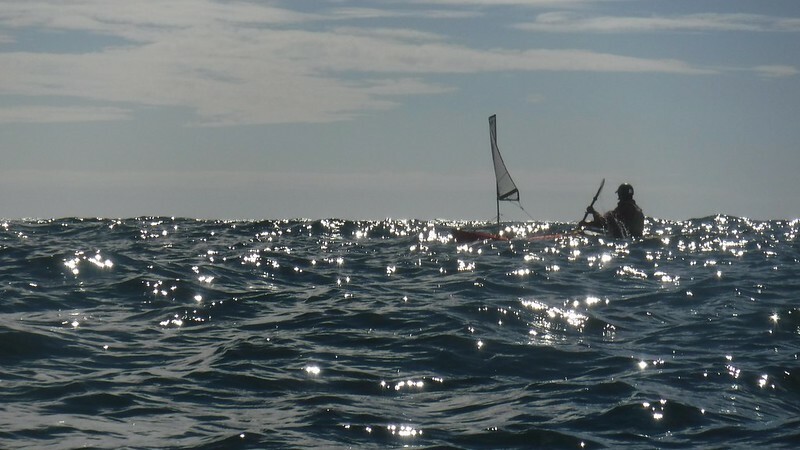 It’s been a while since we’ve been out for a paddle along the Northern French coastline. We chose to meet with other team paddlers at the pebble beach near Audresselles early in the morning. We planned our trip around Cap Griz Nez so that we had two times the tidal stream in our favour. 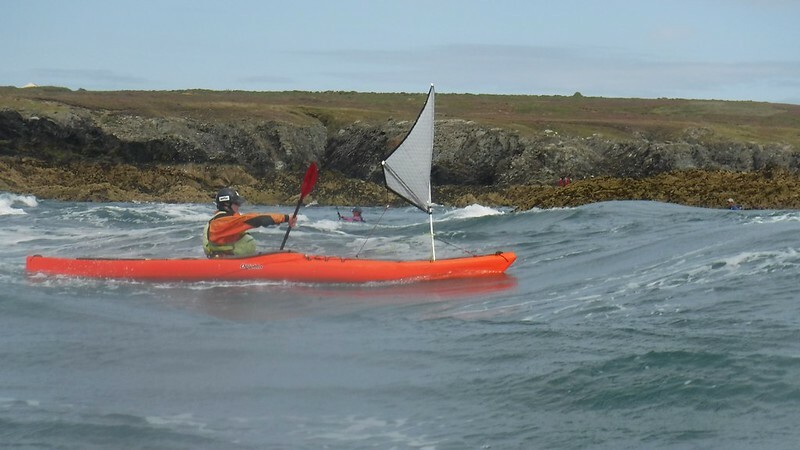 Ideal to paddle as close as possible to the rocky beaches with the least effort. 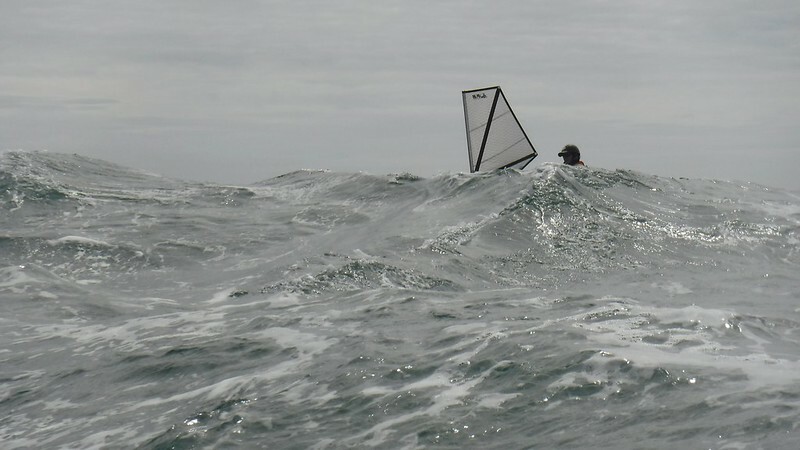 There wasn’t much wind but the swell was good and provided small waves for us to play on. We are used to paddle along Belgium’s sandy coasts, so this was a welcome change. Although you may not see it in the video, the British coastline was clearly visible that day, both on the water as from an elevated position. We’re not sure, but I think the Dover cliffs were calling us…. 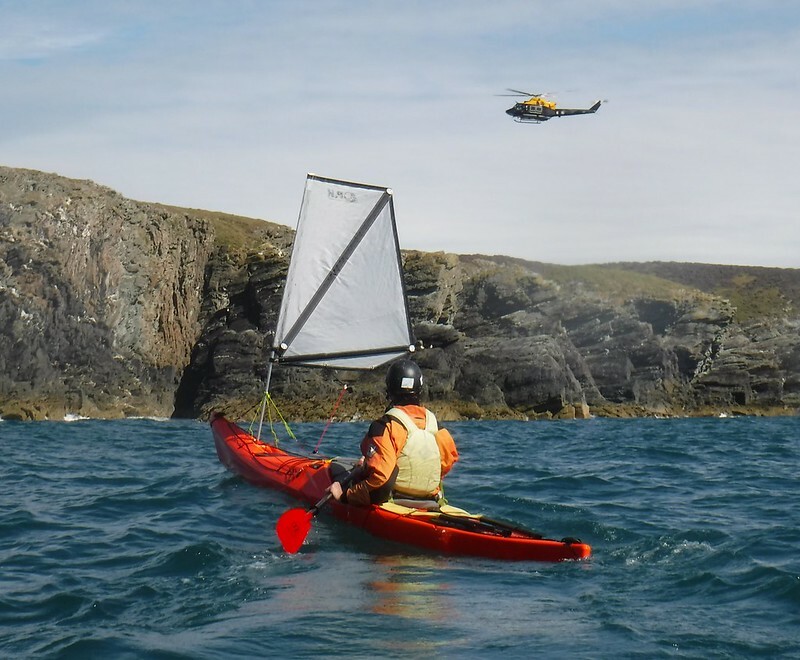  Enjoy the video, and when in the neighbourhood with a kayak on the roof of the car, make sure to stop for a paddle along this beautiful coast. Two years have passed since my last visit to the Oostdyck Radar Tower. Today, conditions were good and so we set of from the Oostduinkerke beach. It is a very good navigation exercise because, although the tower is 36 metres high, you mostly cannot see it until half way. The tower is located not less than 22 kilometres offshore. It’s operational since 2003 and its purpose is to provide guidance for the bigger ocean ships. The international shipping lane is nearby and also the Westhinder anchorage (where ships have to wait for the pilot to come on board). On some days, with extreme good visibility, you can spot the tower from the coast when standing on an elevated position. We have been nine hours on the water to reach the radar tower and get back to shore. Again, it was worth the effort, reaching it and not being able to see the coast! Three hundred and sixty degrees of pure, open water, absolute peace and quiet…… The tower itself is unmanned. My teammate Harry and I are using a P&H Cetus MV. It has been a while since we have been on the water together. So today, we planned a little daytrip to Northern France, more specific Cap Gris Nez. It is located along the Dover Strait (Pas de Calais) on the French side of course and is known for its strong tidal current and fast changing weather. We planned on paddling near the rocks and cliffs around high water. While it was very sunny the first part of the trip, weather began to change very fast (within 30 minutes) and a sea fog set out all over the area. When in the neighbourhood with a kayak on the roof of your car, make sure to stop by and enjoy the scenery (and meet the grey seals that live there)! 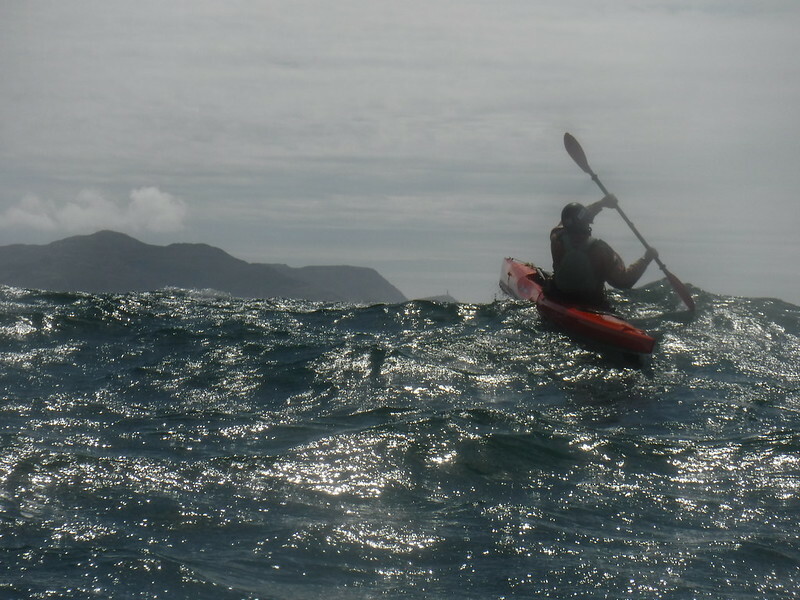 After paddling the Octane on Llyn Padarn I wanted to try it out at sea in wind, waves and moving water. My kayaking buddies for this trip were Ed and Abi Loffil. Ed and Abi had a head start on the outward leg so I followed them 20 minutes after their departure. 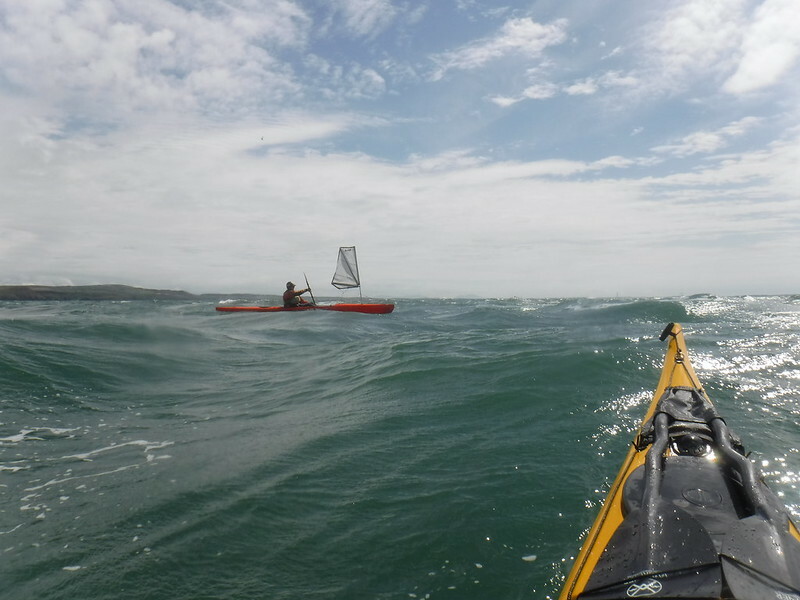 This leg had up to 10 knots of southerly wind with a slightly post spring tidal current to propel us on the flooding tide to The Skerries. Time of leg – 1.5 hrs. 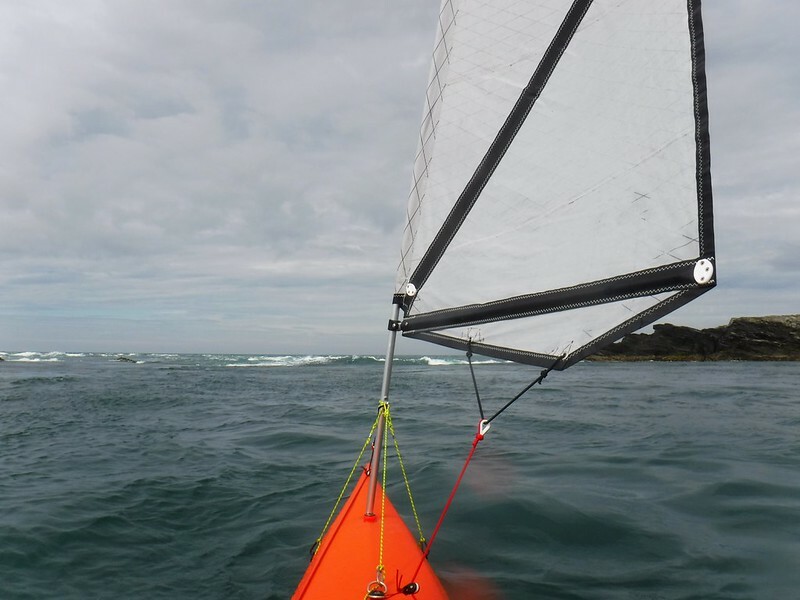 The return leg had 10-17 knots of southerly wind against the south flowing ebb tide. Time of leg – 3 hrs. Previous to receiving the Octane I had never paddled a surfski. The closest speedy boat I had experienced to compare it to is the Rockpool Taran. The Octane, like the Taran, is great fun to paddle fast, especially in surf. At speed the surf ski is particularly stable, locking into its watery path. Its stability seemed further enhanced with the addition of the Flat Earth Sail, as this gave more propulsion. 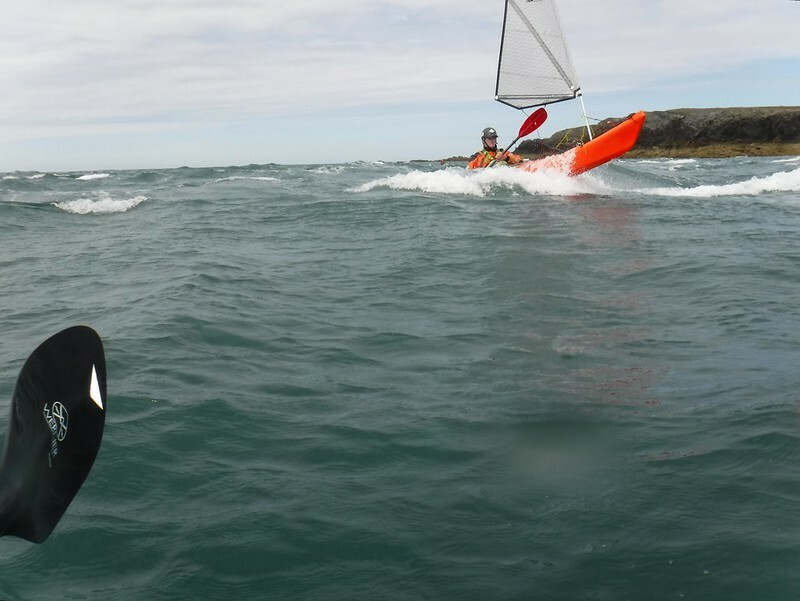 It is even better to sail than the equivalent P&H Scorpio or Delphin sailing kayaks as it is super quick and responsive to the rudder. 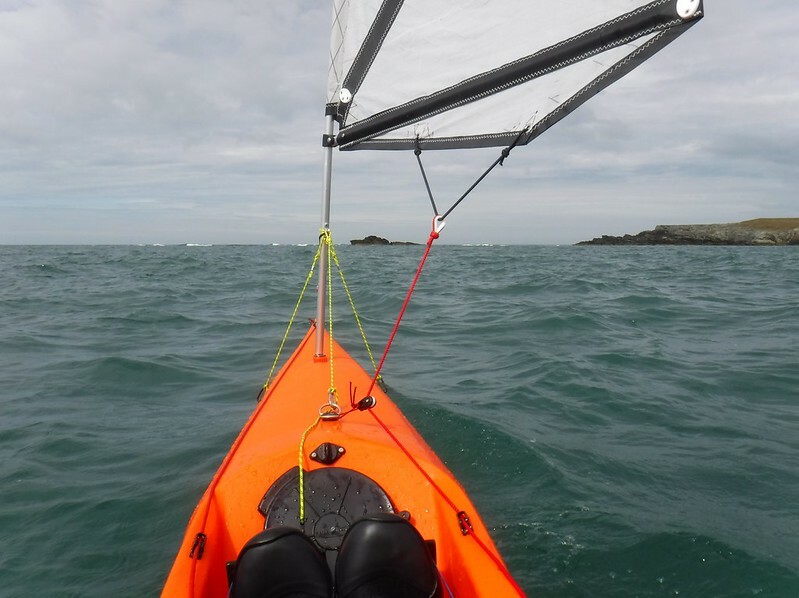 With its open cockpit it felt a lot like a modern sailing dinghy, especially with the gurgling sound of the self-bailer. 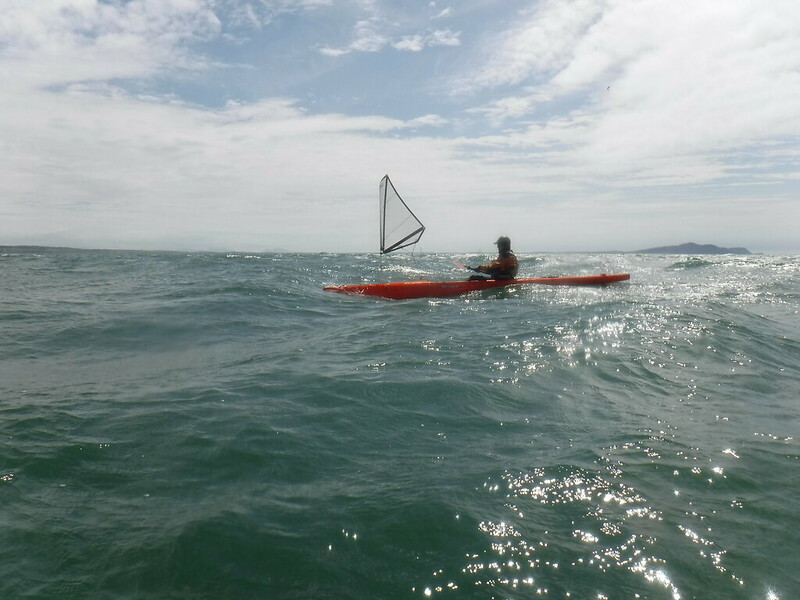 Paddling downwind with swell was far, far better than the reverse into wind and waves. 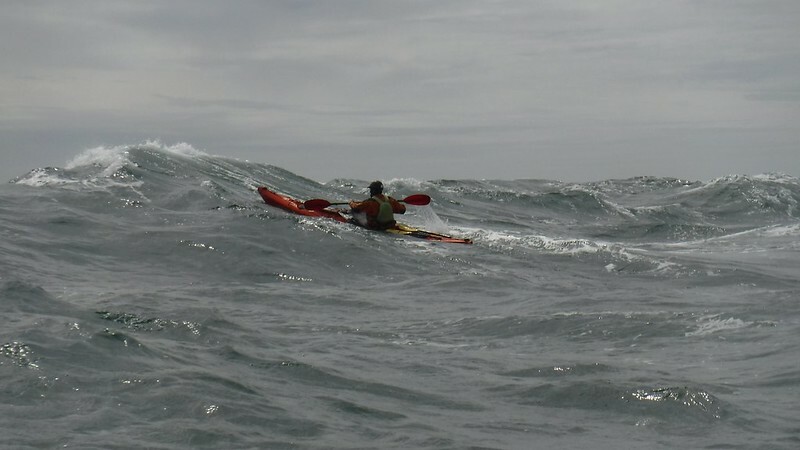 The former situation gave much greater speed than the accompanying sea kayaks, whereas into wind and swell the surfski was only marginally quicker, despite lots more effort from my core muscles. I probably need to improve my technique in these conditions. The Octane is a very positive boat. It rewards good posture and technique with better performance. This feedback is proving really useful as I try to get better at paddling a surf ski. 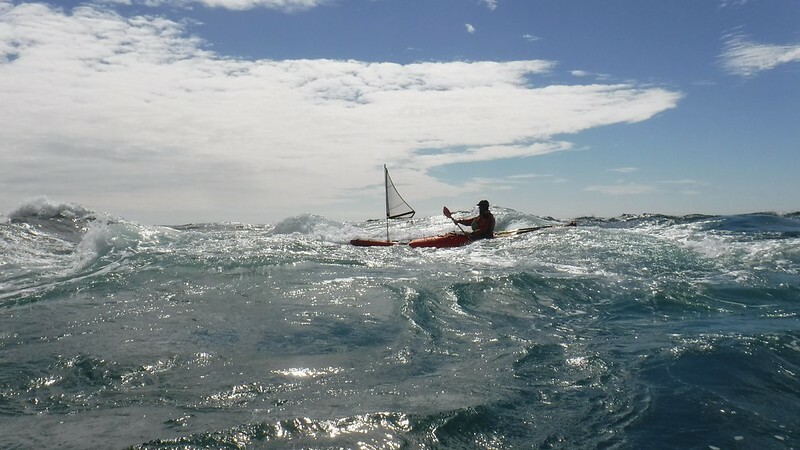 Next time I want to try some more downwind runs! Handa Island – New boat, custom colours and perfect light. 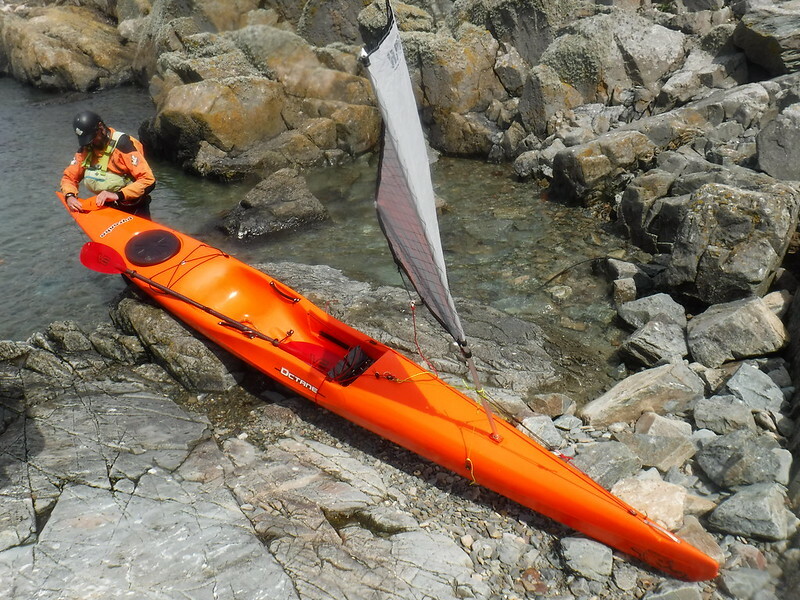 The Cetus MV was, yet again, my boat of choice to meet all my coaching and personal paddling needs for this year. 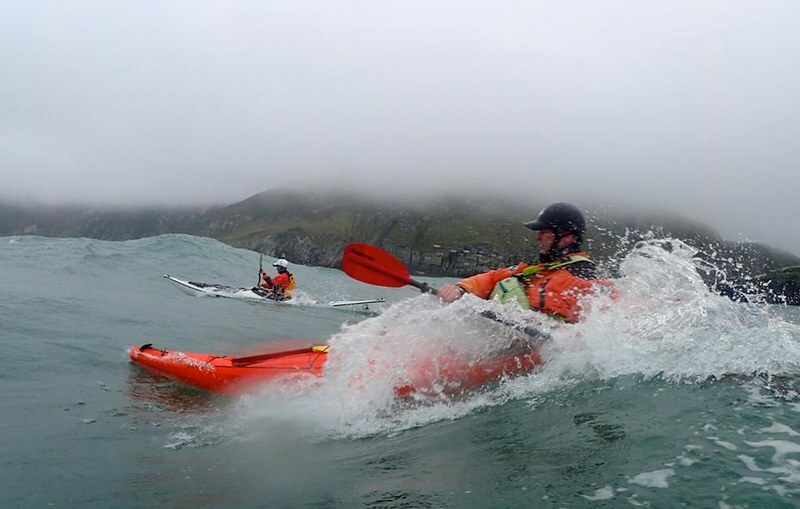 ; whether it is introducing aspiring sea kayakers on sheltered waters, running 5 Star courses in the Pentland Firth, away on expeditions around Scotland’s amazing coastline or playing out at the Grey Dogs, for me, it just does it all. It also gives me a real stable platform for on-the-water-photography when doing my books, articles and sponsors’ photos; with an expensive SLR digital camera in my hand, and the opportunity to capture that ‘perfect front cover picture’, that’s pretty important! So, when my latest Cetus MV arrived the other week, as always I was excited to get it out on the water, but this boat was just that little ‘more’ special; PeakUK have updated the colours on their sea range of kit this year, and knowing this, it seemed rude not to have a boat to match! With some helpful collaboration between PeakUK and P&H, the colours were matched and that allowed P&H to do their ‘magic’ in customising the perfect boat for me! As you would expect, they really went to town on it and not only was the boat colour matched, but all the trimmings (decklines and bungees) as well – brilliant!! With the perfect boat from P&H and the awesome kit from PeakUK, a suitably spectacular venue was required for its first outing, along with some great light to get the photos to show it off; the North West Highlands of Scotland were the destination and the amazing Island of Handa was the prime spot to visit. If you’ve not been to Handa yet – go… It offers towering cliffs, caves and arches aplenty, along with the enormous ‘Great Stack’ of Handa. All this is guarded by thousands of sea birds, with the raw force of the Atlantic Ocean on one side and the relative shelter and beaches of the Sound of Handa on the other. 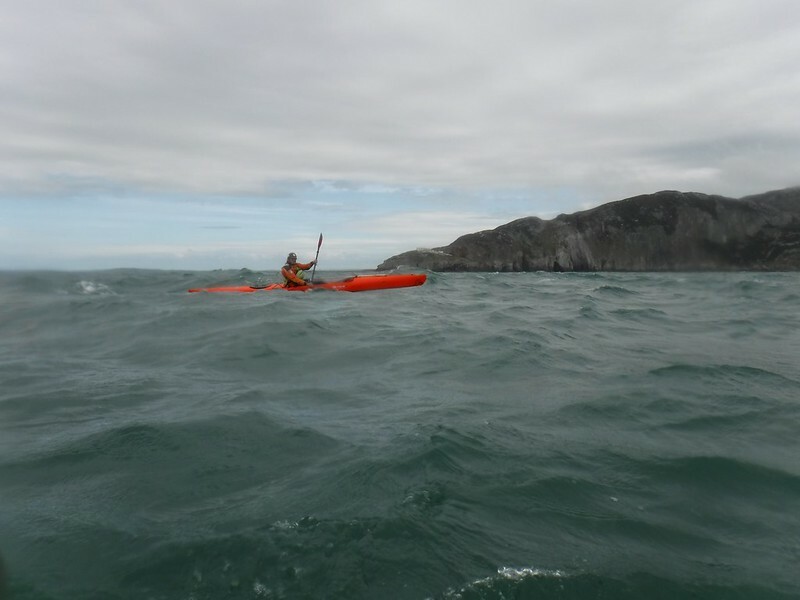 It’s easily accessible to paddle around, yet once there you will feel on the edge of the world in a very exposed way! So, with some careful weather watching, some great evening light was found to paddle around Handa Island and ‘wet the hull’ of my rather unique boat – may she see many more such great trips in the months to come… thanks to all the P&H team for making her so brilliant!! I have dreamed. I have prepared. I have trained hard. 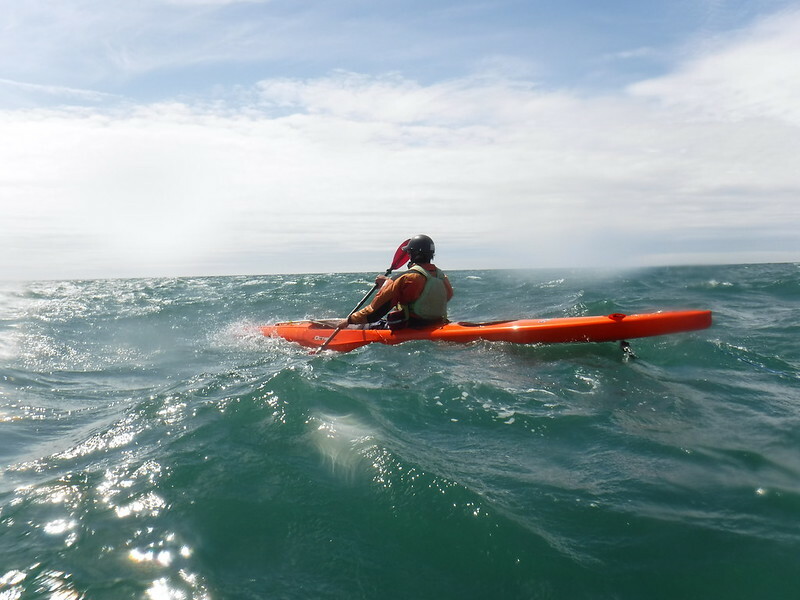 I have crossed the Southern part of the North Sea by sea kayak on the 30th and 31st of July 2015; man powered and alone, no support or pilot vessel, no support whatsoever. I have paddled during day and night. I’ve been exhausted, excited and happy, all at the same time. I have had this dream to cross the North Sea for years, and finally the weather conditions were perfect; so I planned, made calculations to counter the tide and prepared myself mentally. On Thursday 30th of July I said my goodbyes to my family. Right before starting I sent a message to both the Belgian and British Coast Guard to inform them of my plans and estimated route. 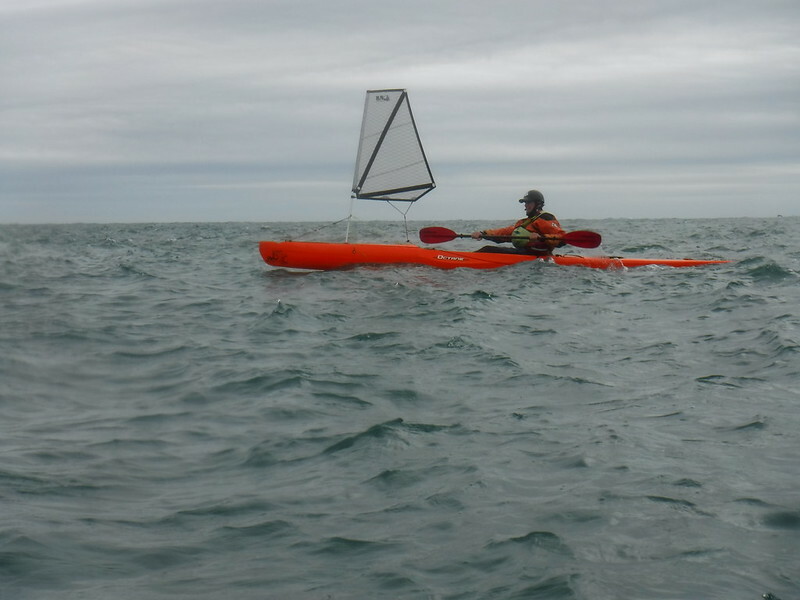 At 21:30 hours sharp I sat in my sea kayak and paddled to open sea. I waved to my family one last time when passing the pier. I was lucky, after sunset I still had some light due to a full moon; the downside was the current, a full moon means spring tide! 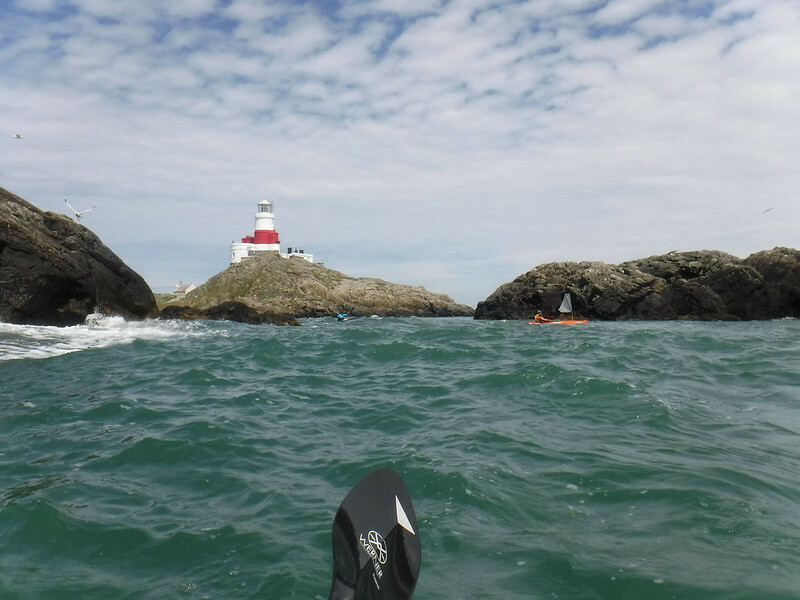 Up until I reached the Trapegeer buoy I had the tidal stream in my favour, after that point (fully calculated in advance) I had to paddle 6 hours against a strong tide. 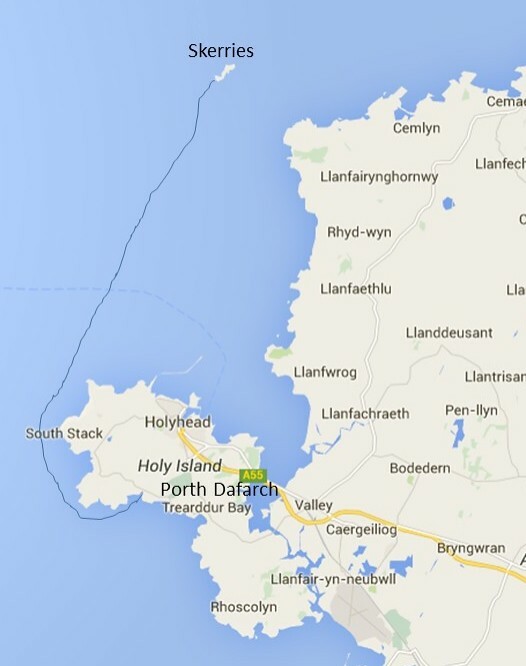 At 04:48 hours I arrived at the DY1 buoy; it was slack at that point, but the tidal current should change direction soon. I had radio contact one last time with Marc, the friendly radio operator from the Belgian Coast Guard (Ostend Radio) to give him my current position and state. He was in close contact with Sylvie (my wife and support team) to keep her informed. After that point I was on my own until I was in range of the British Coast Guard. 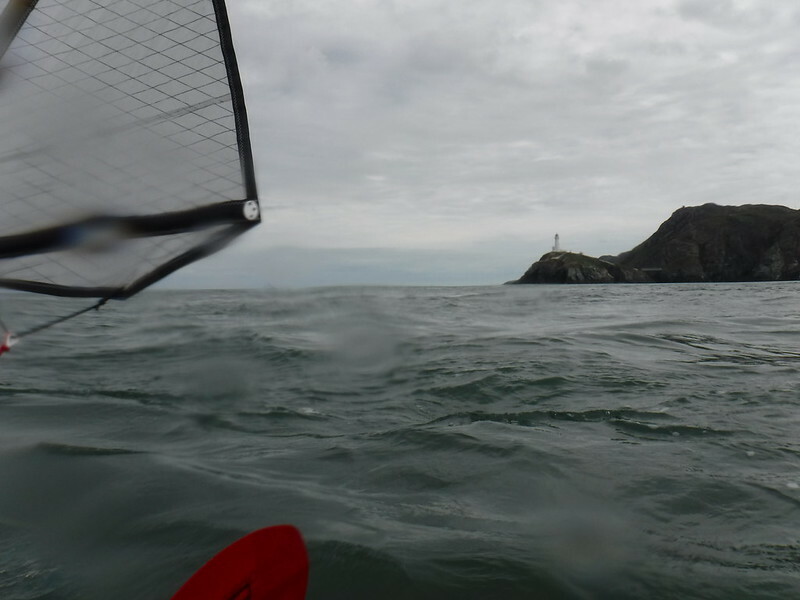 I paddled on, with the current in my favour this time, to the Ruytingen SW and Ruytingen NW buoys. In the meantime the sun was rising which made the crossing of the international fairway a bit easier. According to the Coast Guard almost 500 sea ships are passing through that lane every single day; I had to keep watch in order to stay as far away from those big ships as possible. I doubted that they would even spot me! 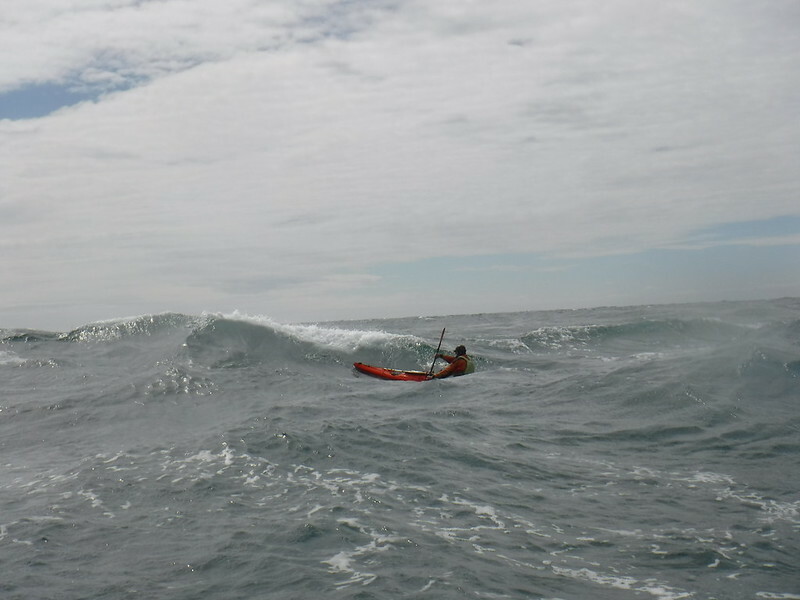 I paddled as hard as I could, having a strong tidal current on the my side. I managed to get over the shipping lane, along the buoys Sandettie WSW to the South Falls without troubles. I only spotted 4 big sea ships but I passed them at a distance, and after that I changed my course and diverged from my planned route to a secondary planned route in order to counter the very strong tidal current that was pushing very hard from my right. Eventually I arrived at the East Goodwin light ship, where I established radio contact with the Dover Coast Guard; they we’re already fully aware of my intentions and also in touch with my wife, informing her of my position and state. The crew on the radio were very friendly towards both me and my wife. 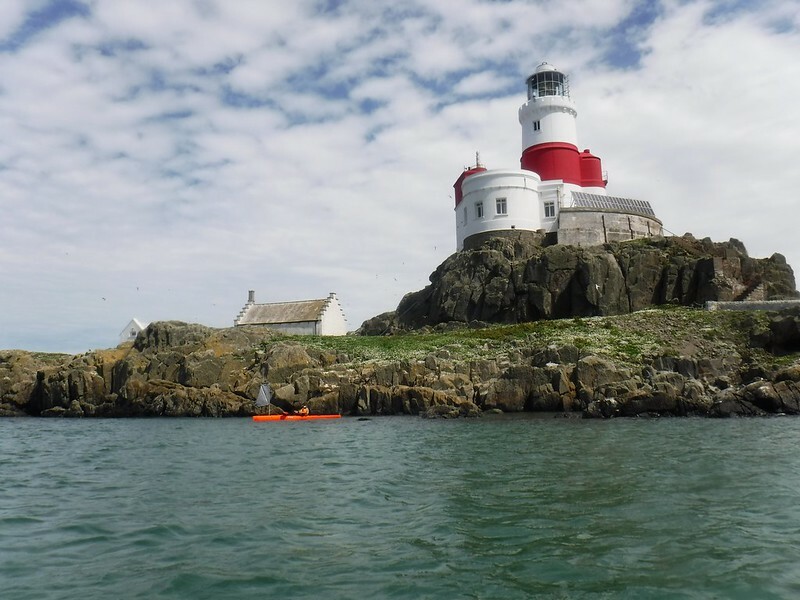 The East Goodwin ship is an unmanned lightship that brings the very treacherous Goodwin sand banks to the attention of ships; dangerous for almost every other vessel but ideal conditions for a seasoned kayaker. 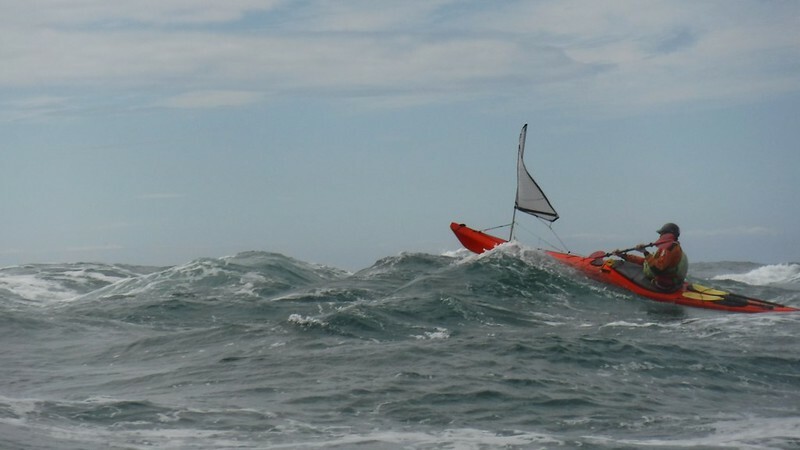 With almost no wind at all there were waves between 0.5 and 1 metres in height! In that area I saw numerous seals, wonderful!! The sand banks were the last piece of the crossing; after that I headed towards Ramsgate harbour. 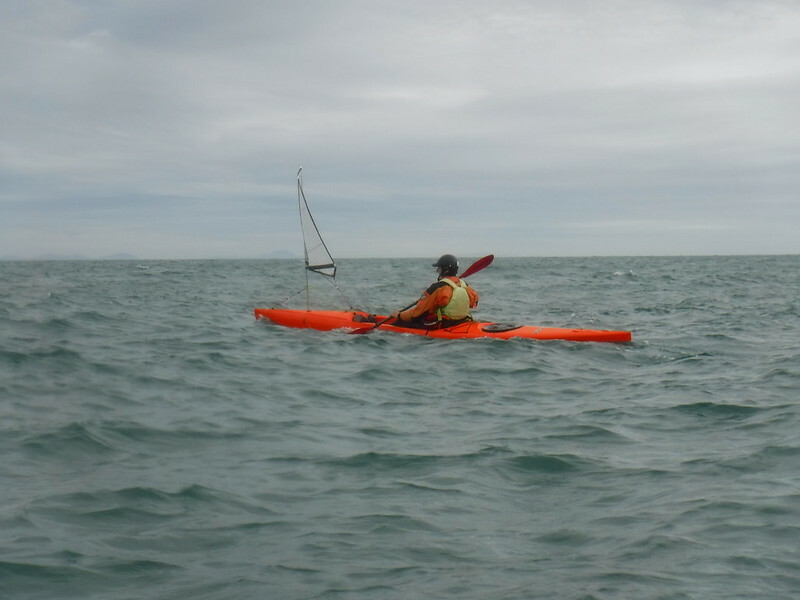 The tidal current was now pushing on my left side so I had to compensate heavily in order to reach the harbour. I reached the slipway of Ramsgate harbour at 15:06 hours (Belgian time). I was so far ahead on my estimated arrival time that my welcome party had not arrived yet; luckily I was prepared for that, I had dry clothes and plenty of food and drinks with me. After a few hours my lovely wife and kids arrived, it was a happy reunion!! We took the ferry back to the mainland together. 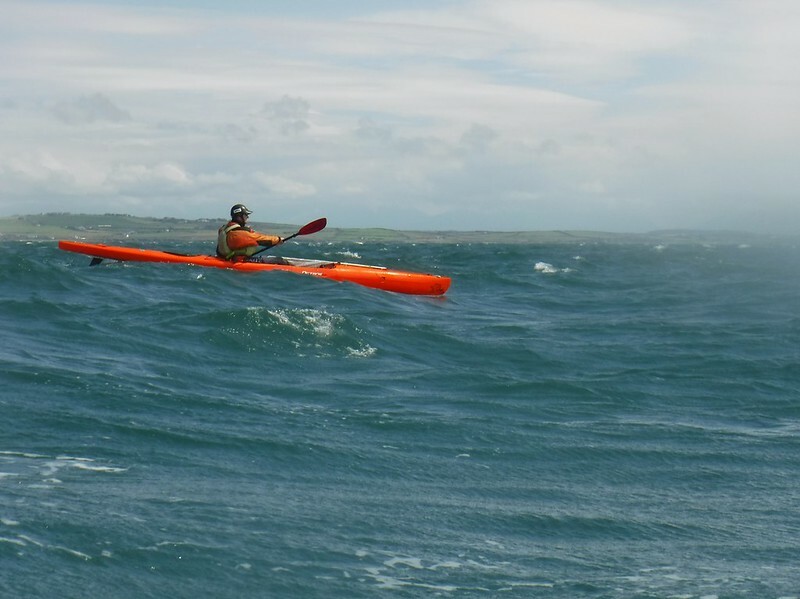 I wish to thank my wife Sylvie for her constant support in chasing my biggest dream, the North Sea crossing, as well as in all my other so called foolish plans regarding sea kayaking! 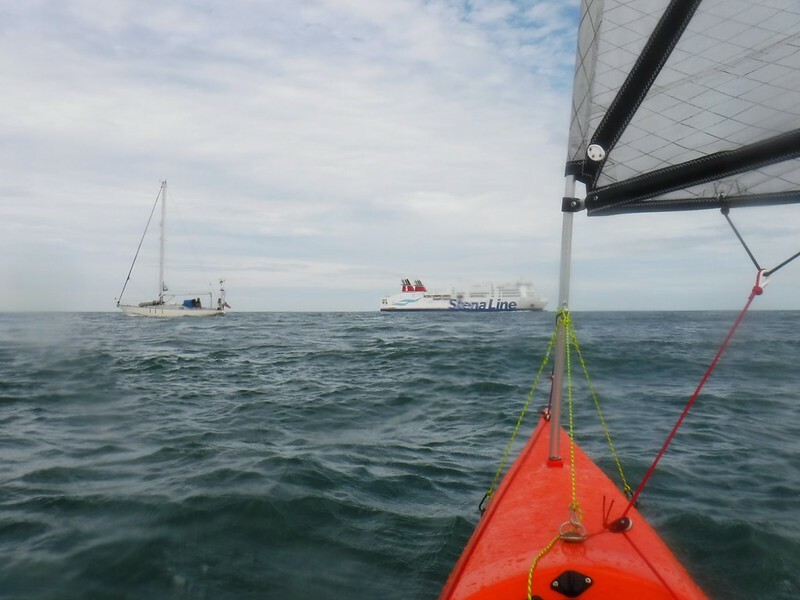 I want to say thanks to Marc, the radio operator from the Belgian Coast Guard – Ostend Radio for keeping an eye out for me up to the DY1 buoy, and to the friendly crew from the Dover Coast Guard! To those people; your help is very much appreciated both by myself and my wife! 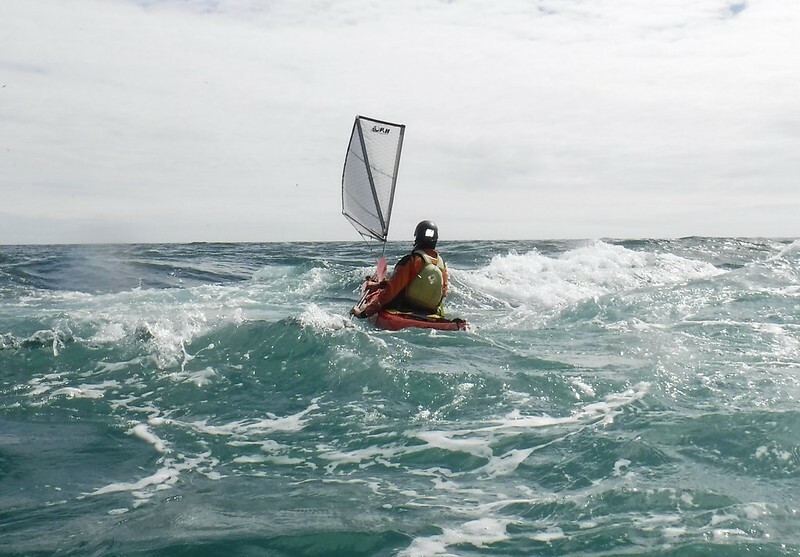 We hope that this crossing will put Belgian sea kayaking on the map, and a big thanks to my other Northseakayak-members for their continuous support! The full crossing was correctly registered by GPS. • Full safety gear including two VHF radios, a Personal Locator Beacon, flares, etc. 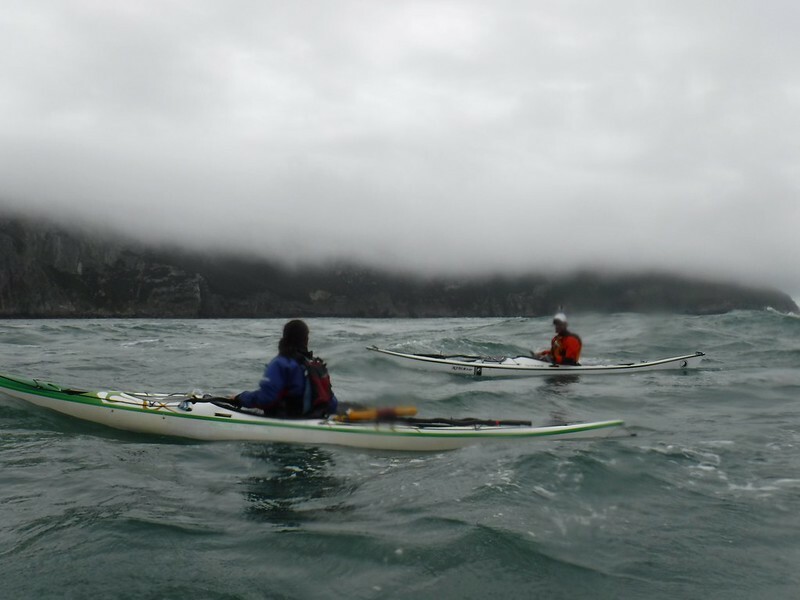 The idea of the trip was to try and paddle around Cape Farewell from Nanortalik and return, attempting some Alpine ascents of any suitable peaks we came across along the way. Cape Farewell is at the southern tip of Greenland and exposed to the entire ocean swell, it is also a committing coast with high cliffs and no easy landings; we knew this would be the crux of the trip, and we also knew Cape Farewell is the windiest region in the world, so getting a good weather window would be vitally important. We shipped two barrels out to Neil Jepson at the Nanortalik Tourism Service a month before we left, these contained all the food packed into day bags and the climbing equipment; we left on the 12th of August, a little later than I usually go. The later departure was due to having to wait for the kayaks to be available, which were hired through Doug Copper of Glenmore Lodge from their fleet of P&H Capellas stored with Neil. Two days and 4 flights later, including 2 by helicopter, we arrived and were met by Neil; he was very helpful and we picked up the boats and barrels that day, meaning we were able to leave the next day. The Capellas had skegs and I was worried we wouldn’t get all the kit in; we had 23 days’ food, all the camping kit, two 50m ropes and climbing gear. It was a tight fit with the cockpit rammed and quite a bit of gear strapped to deck bags, but it all was in and we left around lunchtime on the 14th. The boats were very heavy and, because of the gear on the back, they weather cocked badly even with the skeg down; not ideal as we headed off into a side wind! 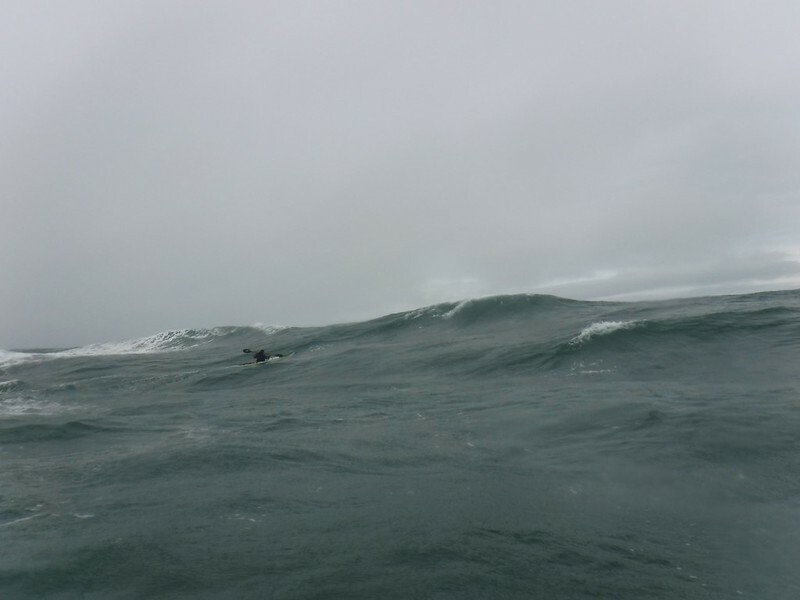 The first headland we encountered was exposed to swell with no easy landings and we realised this could be an awkward on our return in bigger conditions. At our first campsite we stashed 3 food bags for our return as there looked like some possible climbing in the area on our return, this also got rid of some kit from back decks. The next few days we were in the shelter of an island system, then we had another exposed headland to a campsite at Ink Gait, the site of an old Viking settlement over 1000 years ago. We camped in the ruins of an old church and also had our first encounter with a Minke Whale who came very close! good weather. We managed to get a mobile signal as we had a view of the settlement of Frederiksdal and the forecast seemed ok. We did work out on the trip that the weather changes very fast and the difference between a report from Nanortalik and out on the coast could be vast. 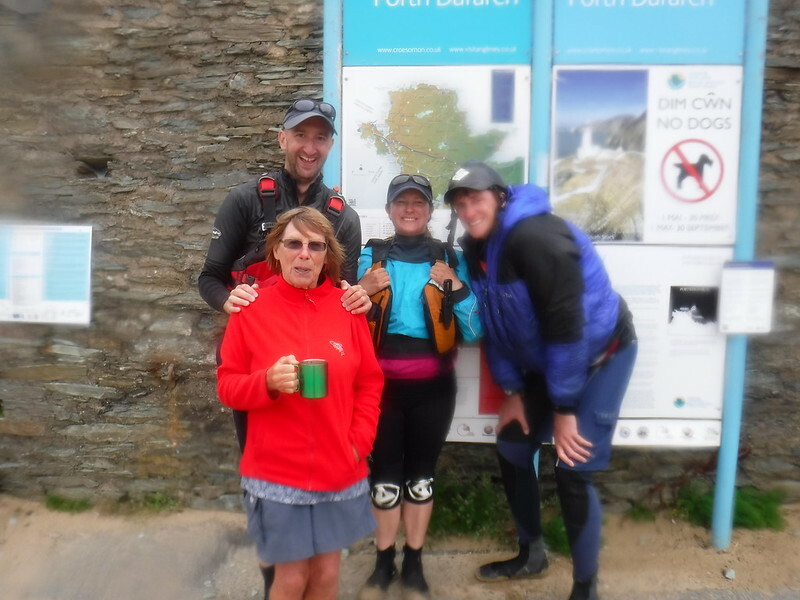 We did decide to go for the crux of the trip and attempt Cape Christian and Cape Farewell, this would be a big day in distance and we had a lot of fog to deal with at the start. Cape Christian eventually appeared out of the fog, but as we came around the headland the wind suddenly increased and we were faced with the sight of a large area of breaking waves over some low islands in front. 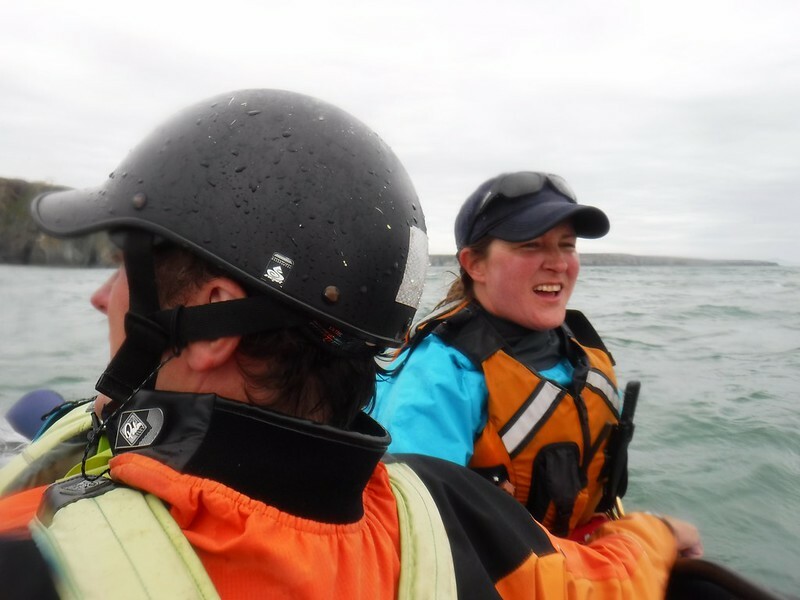 The wind was now blowing hard from behind and we struggled to get the heavy boats around into the swell and wind, so we decided we had to land on a very rocky shore. Although it was a difficult landing on a boulder beach, we were glad to be safe as the wind steadily increased; we were storm bound here all day, and although the wind eased by the next day, the swell was still big. We crossed the bay and as we came around the Cape, the fog came in and the wind increased, but luckily after struggling around the wind eased. 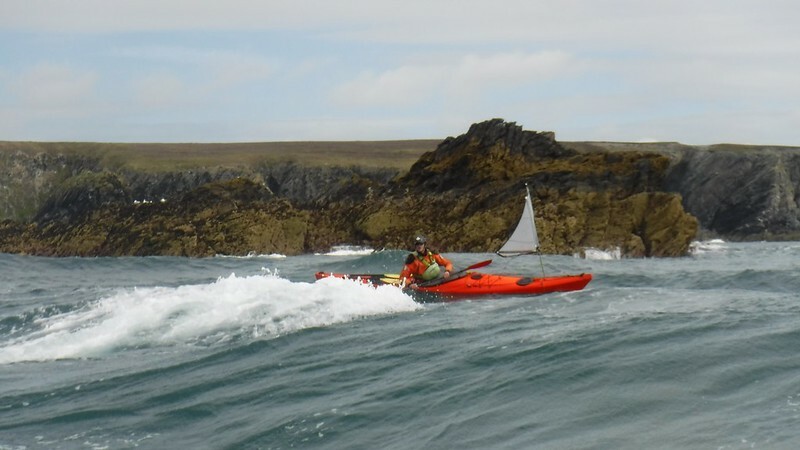 There were no easy landings, so we had to stay in our boats ’til we found a little shelter; eventually we landed at the west tip of Eggers Island and the following day did a new climb of 8 pitches on the scabby side of Quvperitqaqa, a grade HVS 5a called Dance with Seals. 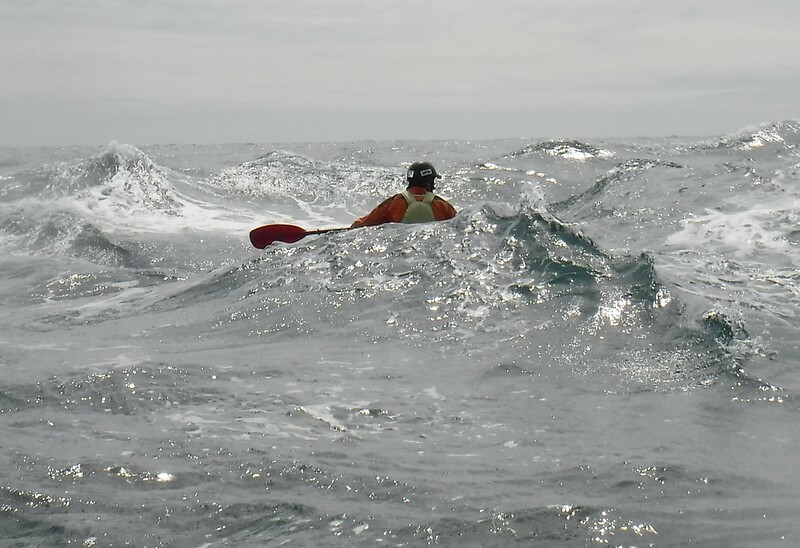 The next few days we had good weather paddling down Ikaq Fjord, but we again got caught out crossing Anordliutssup Ima when the wind and waves picked up to a force 5 and we were committed to cross. We stopped briefly in the village of Augpilagtoq, where the villagers told us they had shot a polar bear a few weeks ago; this was our only stop in 3 weeks. We were storm bound for a day close to here, but the weather improved again and we headed south down Torssukatak Fjord, again we hit bad, windy weather at the end of the fjord and had to turn and run to find shelter. The weather was definitely changing and following a pattern of calm in the morning and windy in the afternoon, so we got early starts and got back into the shelter of Iglu Kasip Tunua Fjord, where we knew there was an old hut where we left some food; we had a day here stormbound, then headed down the fjord and camped. We spent 3 days here, one day again sheltering from rain, but the second day, although it was foggy, we went to try and climb a big mountain face we had seen. As we climbed, we came out of the cloud and the face was bigger than we thought, 12 pitches later we reached the top; some good climbing and the usual loose rock on a big mountain face. The climb was graded at E1 5B and we called it Keeping the Faith. We now had a week left to explore another area we had seen closer to Nanortalik; we had to negotiate another headland we had passed when it was windy the day before, but when we woke up from camp it was flat and calm in the bay we were in. 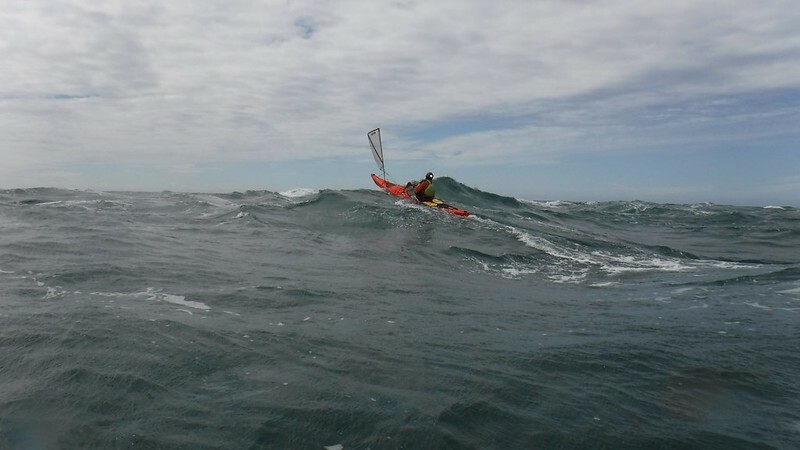 We set off and as soon as we headed onto the open sea we got the swell and wind, the next hour we battled around the tide; the swell and wind created some of the biggest seas I have ever been in and any rescue was out of question. We made it into bay and landed, once again the wind got stronger as the afternoon wore on, so we found a sheltered spot for the tent; it was now bitterly cold with snow on the tops. As we were now in sight of Nanortalik, I managed to get a phone signal and got a weather forecast. More bad weather was coming in 2 days, so we decided the following day to head back in rather than be stormbound again. The following day was calm and we headed back in around mid afternoon for showers and beers. We had finished a few days early, but we had succeeded in all our objectives and felt happy that we had survived some very challenging conditions.